Are You Receiving Replies to Messages you Never Sent? 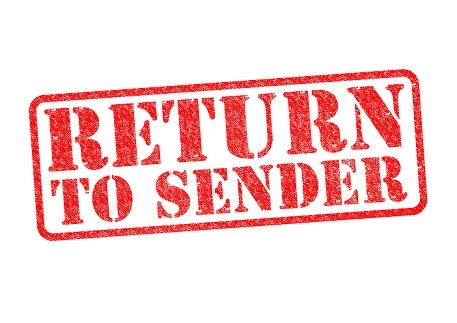 Have you ever logged into your email to find tons of bounce-back messages (out-of-office replies, NDR messages, invalid recipient messages) in response to messages you never sent? For many users, their first thought is that they need to change their email password. However, changing your email password will not prevent this. Why? Because what you are receiving is known as backscatter, and has nothing to do with your email account being hacked. Spammers often forge the return-path in their outbound messages to cover up their true identity. If the forged address in these spam messages was your address, then you are likely to receive the bounce-back messages and auto-responders in response to these messages. So how do you prevent this? MDaemon includes Backscatter Protection. Backscatter Protection works by adding a special key to the return-path of all outbound mail. When MDaemon receives an out-of-office reply or non-delivery message, it looks for that special key. If the key is missing, then we know the bounce-back message is not legitimate and can be discarded. It is this extra series of characters that the Backscatter Protection feature looks for in bounce-back messages. Check out the following video to learn more about Backscatter Protection and how to enable it in MDaemon. If you have questions, please feel free to leave us a comment & let us know!